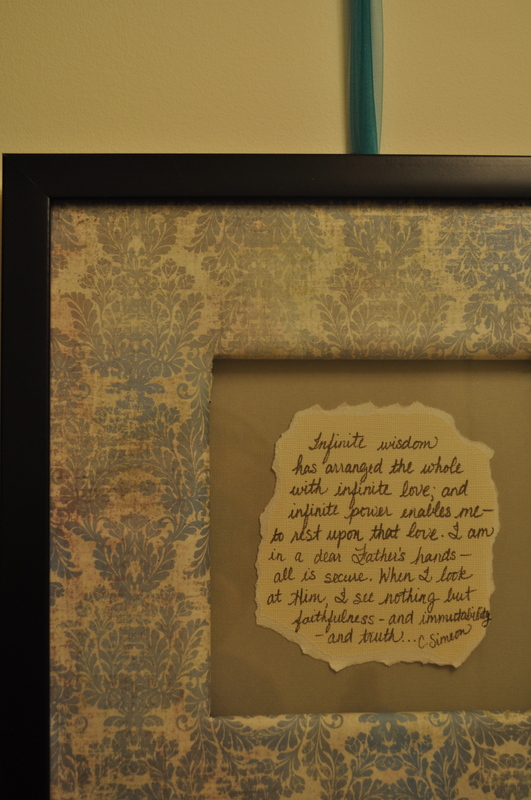 This is actually a project I completed a couple months ago, but am just now getting around to putting up. 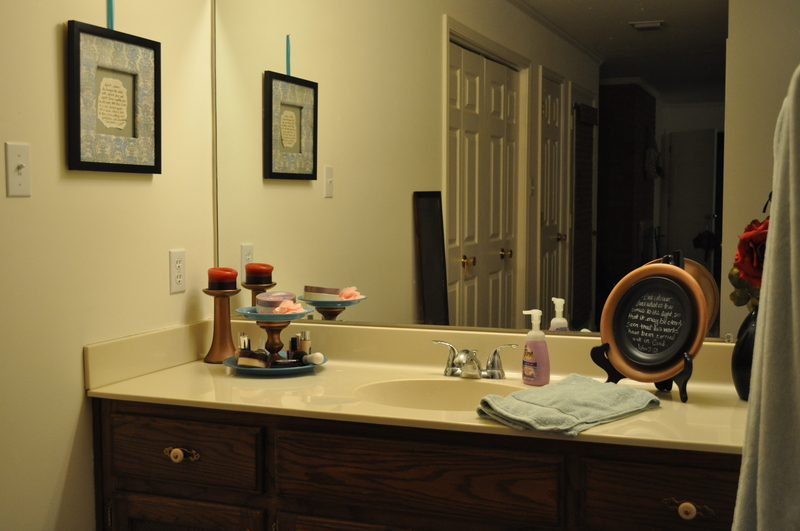 We’ve moved into a bigger house, which means a bigger bathroom, which means I needed to come up with something for my sink. 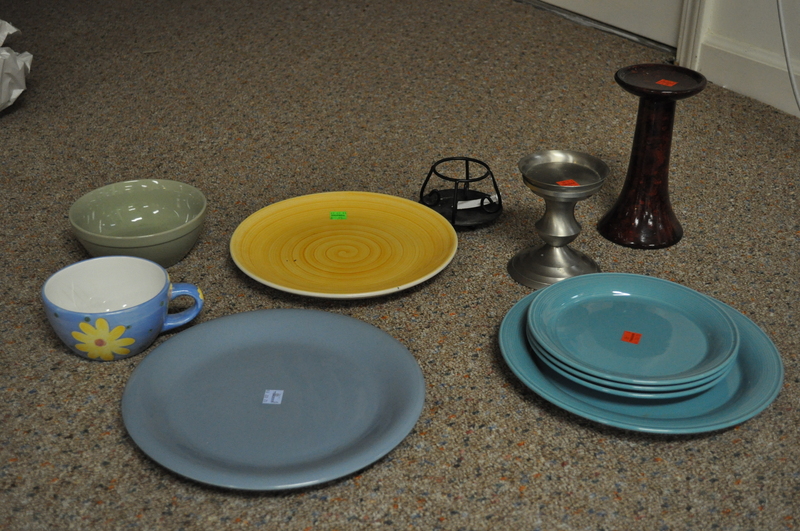 I went to GoodWill and found these items. 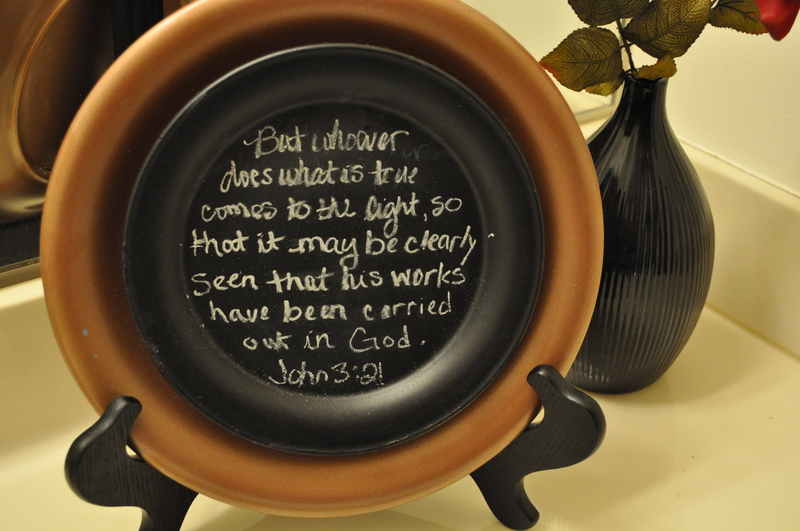 I used the dishes on the left for my teacher desk organizer. 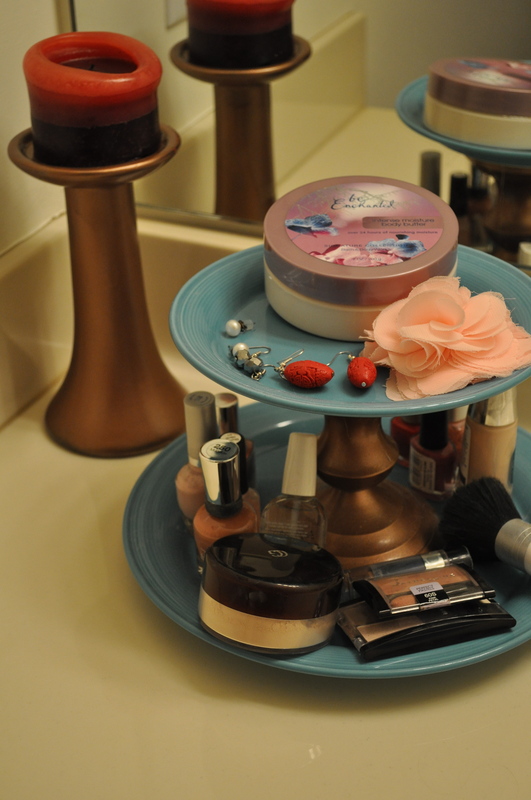 For the bathroom project, I used the two candle holders to the right and the blue dishes. 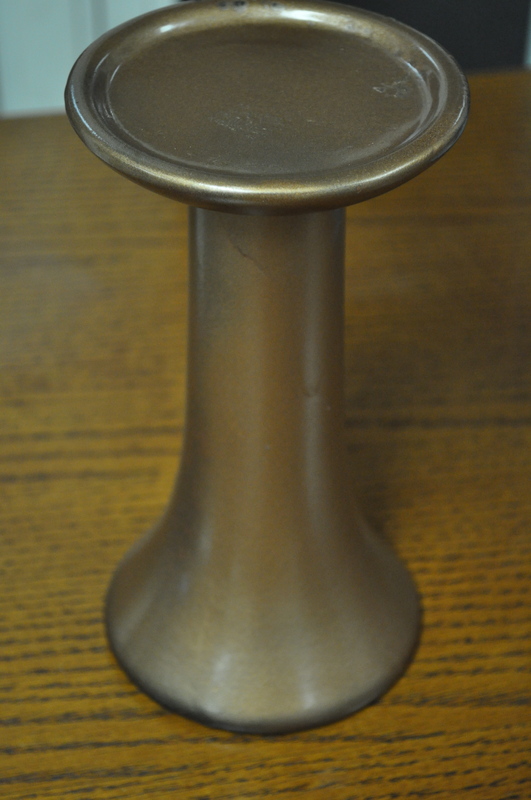 I promptly spray painted the tall candle holder. Not the best job perhaps, but it was enough to cover the red and black marble covering it had before. 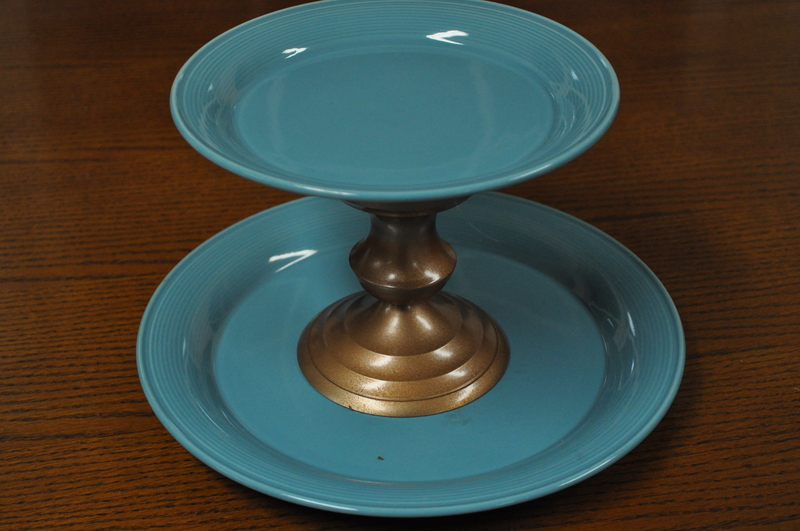 :) I glued the silver candle holder (also spray painted) and two turquoise plates together for an organizer. Posted on April 30, 2012 by Katie •	This entry was posted in Decorating!!!. Bookmark the permalink.